What investors look for, what successful startups pitch. Whether or not you’re at the stage where you’re fundraising, you’re likely thinking ahead. If you haven’t been through an investment cycle as part of another company, it’s a pretty amorphous place. When we build an MVP for a company, we help build something entrepreneurs can take to investors, so they in-turn can get funding to further build their vision. But what do investors look for? What do good pitches contain? We’ve pulled together some answers from investors, as well as some examples of good pitch decks from now successful companies at various stages of fundraising. What do investors look for? The answer tends to vary depending on stage or round. Here are some answers we received. Financials is our answer. With team and product code runners up. What have some successful companies pitched investors? Buffer, the social scheduling app, used the above deck when pitching for their seed round. Even though the company was really early stage at the time of this pitch, they had clearly defined traction in all areas–user acquisition, conversion, cost per acquisition, revenue, and realistic growth predictions. In addition to strong data, the team itself had some heft, including advisory from industry heavyweights. Also early stage, AirBNB doesn’t do quite as good of a job at building a case, but clearly succeeded in raising money. They were able to validate the market, show traction with very important partners (which can be just as important as revenue in the instance of a first-to-market mover), and simple but impressive business model proof. Here’s where we see a deck from a company that has the magic three–team, traction, and product. This deck is complex, including strategy, and why their focus at the time wasn’t on revenue. 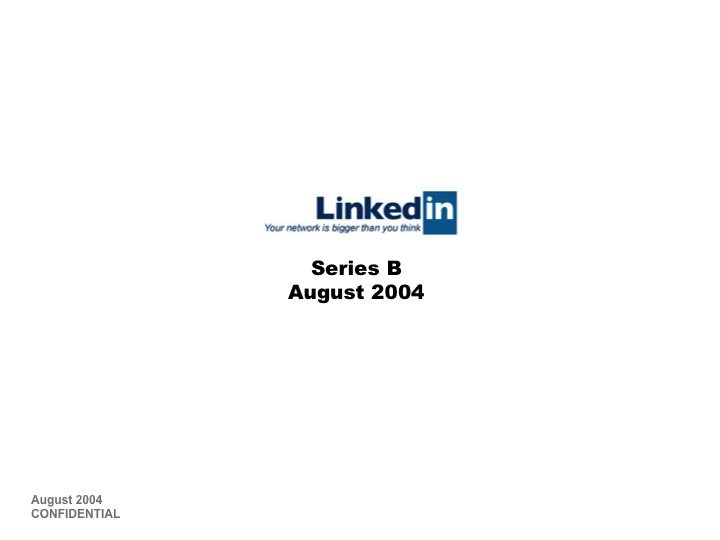 And this investment proved to be fruitful–where many of the competitors listed in different areas of this deck are no longer in existence, LinkedIn was just acquired for a cool $26BB+. Not too bad. If you’re building an early stage company, and not too sure at what stage you should reach out about investment, please feel free to ask us for advice! We may be a web development and design company, but we have a lot of experience working in all areas of startups–including fundraising. We write about building quality products that solve real-world problems. Subscribe to get notified when we publish new content about design, development, or client resources.